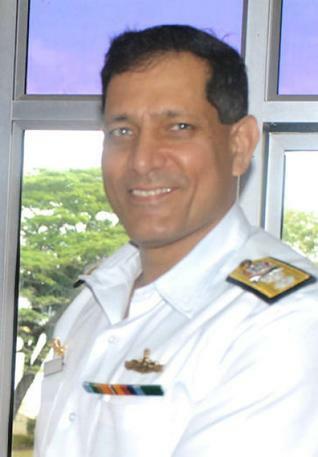 Rear Admiral Satyendra Singh Jamwal, one of the Indian Navy's rising stars, died in a range accident in Kochi on the 7th of July when a 9mm pistol that had jammed accidentally discharged in his direction. When I last spoke to my friend, schoolmate, NDA-mate and fellow-officer, Rear Admiral Satyendra Singh Jamwal, there wasn’t the smallest inkling of the terrible tragedy that lay just ahead. “Jammy”, as he was called in the navy --- or “Tiri” as he was nicknamed by the boys (and girls) at the Lawrence School Sanawar, near Simla --- had rung me up from Kochi to invite me to give his officers a talk on China, a subject that I am co-authoring a book on. Fate, alas, has ruled out that meeting. For me, the end is more than just professional regret at seeing a future naval chief snatched away by the unstoppable hand of death. For me, this is the shocking end of an association with a slim, small, utterly decent young boy who went on to become a 6 foot, 4 inch bodybuilding champ and professional star in that most demanding of Indian institutions: the military. That Rear Admiral SS Jamwal was a potential navy chief is, to anyone who knows the Indian Navy, hardly a revelation. Not because he was the ADC to the President; that is a purely decorative job that, given his film star looks, was hardly an accomplishment. But when he was selected to oversee the completion of INS Beas, and to be its commissioning CO, it was clear that Jammy had made a mark as the Executive Officer of the INS Delhi. And, as Naval Attache to Moscow, Jammy left his imprimatur as pointsman during the most contentious phase of the Gorshkov negotiations and the nuclear submarine negotiations. We talked often over the phone while he was in Moscow and always had a meal together when he travelled to India. Given the man he was, we never ever spoke about the top-secret negotiations that he handled through those years. He was too committed a professional to reveal any secrets and I was too good a friend to pose any dilemmas for him. I also had the pleasure of hosting his lovely wife, Geeta --- together they made the most striking couple you could imagine. They were always close, shared many interests and were enormously proud of each other and of their two lovely children. To suggest --- as many newspapers and TV channels are obliquely doing, without the slightest proof --- that Admiral Jamwal had committed suicide is an indicator of how low India’s media has sunk. True, the police have registered a case of “unnatural death”. What else was the media expecting in a death in a range accident? It is regrettable that we have plumbed such depths that the feelings of a bereaved family --- you can imagine their emotions when they see today’s newspapers --- are not as important as an “interesting” headline. 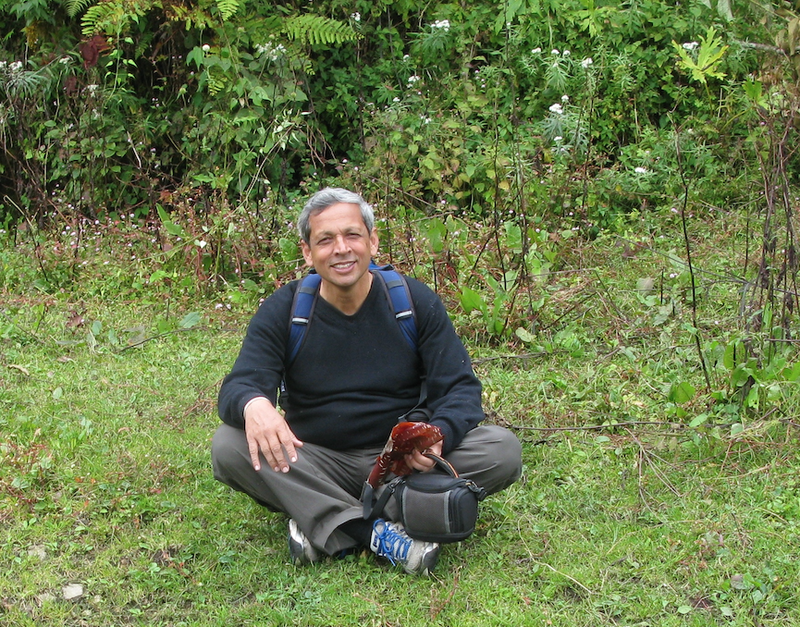 We were fortunate --- those of us who knew Rear Admiral Satyendra Singh Jamwal as schoolmates in The Lawrence School, Sanawar; brothers-in-arms in the National Defence Academy and the military; and those of us who knew Jammy as a friend or a much-loved relative --- to have benefited from his warmth, honesty and cheerful good nature. On behalf of all of them, I pray for everlasting peace to his soul. I see your pain Ajai, to look at such headlines is really disappointing, to loose such a soul is certainly a loss to the nation. My salutes to the wonderful Man. Trust , Indian journalists learn a few things from this enlightning article . Amen to that. May his soul rest in peace. Glorious years of Indian Navy when Rear Admiral SS Jamwal could have occupied the chair of Chief of Indian navy is snatched away by fate. May he rest in peace and almighty give strength to him family to bear the great loss. A very touching euology. My condolences. I would like to add however that it's somehow very hard for me to believe that an armed forces officer would turn a loaded firearm towards himself while trying to inspect/repair it. We will never forget what you taught us. You were an amazing leader...rest in peace Sir-Ji. I was shocked to see news channels reporting live coverage of Amitabh Bachchan's KBC part 4, when the tragedy happened. Equally shocking was the judgmental tone of certain news anchors. The media thinks it is more important than it actually is. I have met the man a few times and am as shocked as you. May his soul find peace. Indeed a tragic and unfortunate event. It also shows that sometime fate takes precedence over all learnings and practicalities. During days in the Academy and in Service, the GIs always tells you that if there is a misfire, keep the gun down, pointing away and carefully disarm it. Fate took the beetr of that innumerable hours of training and drill. I hope the media print a correction, its horrible to say such brave men committed suicide! heartfelt condolences to the family! A Gr8! Dogra Warrior....We Salute You! Something is not right here. The Police registered a case of "unnatural death" because the bullet had hit his temple. Therefore, speculation of a suicide. But any person who knew him even remotely, can swear by the fact that he would be the last man on earth to contemplate suicide. He was too good, too strong and far too honest and upright for todays times. Can anybody do something to get the truth here ? A man with no dichotomy between his words and his action.For subordinates who adored and hero worshiped him, he always looked like cats among pigeon very aggressive / point blank and very direct for his seniority and age. We have not only lost an admiral but also a fighting foot soldier of the armed forces he was a man with capability to look into the white of an enemy's eye and take him on. May his soul rest in peace, people and press still remember him at Kolkata when Ajay u had accompanied him for INS Beas commissioning ceremony. there is more to it than meets the eye. There may be some truth in what the police is saying. A man with so many years of experience would never make a mistake like this also the report of where the bullet has entered the head 1 cm above left ear raises many more questions. A true patriot and an immaculate Sea Warrior. He had tons of qualities to be emulated. A Very Warm Motivator. Very well written, sir. Time the Indian media learnt about responsible journalism. my heartfelt condolonces to the family. Its the whim of fate that we lose such an professional warrior and officer to a firearm accident. May his soul rest in peace and his family and friends find the strength to deal with this tragedy. Jamwal was my squadron type at NDA - Echo sqn or Eagle Sqn. We saw a future Naval Chief in him even during training. A requiem to Jamwal - Well done Blue Eyed Sailor Boy! Rear Admiral SS Jamwal, was by far the best one would want to emulate in the Navy today. Absolutely honest and an officer of great integrity. I had the privilege of knowing him from my early school days, when he used to be decathlete. Jammy Sir, as we know him is no more. He to me, was the only officer, who could match the youngsters lap after lap, be it running or swimming. He was an absolute professional and never minced his words, a true warrior. He had a great sense of humour, and was the perfect officer and a gentleman. Why has fate snatched him away so early. Jammy Sir, I pray to God, that your soul rests in peace. There is no iota of doubt that the Rear Admiral would have ever thought of suicide.Whomsoever have ever met him would vouch for this.At the same time it should be thoroughly investigated as the place of pistol shot arouses some kind of suspicion.There could be some other angle to it. Its a great loss for the Indian Navy. Jammy came up on his own - a difficult thing to achieve . He loved himself, always encouraged others to stay fit . How can he kill himself. Why this has to happen to a good friend? I knew him as a junior and fellow sportsman. I find it really hard to believe that a person with his attitude would commit suicide. But I also find it hard to believe that a person like him could actually mishandle a weapon so badly..
Rear Admiral S.S. Jamwal, the chief of staff of the Southern Naval Command committed suicide. There is no other explanation. It is not a freak accident as claimed by the naval authorities. The bullet had entered 1 cm above Jamwal’s right ear and exited 3 cm above his left. The bullet hit the rear admiral from point-blank range. If the muzzle of the 9mm Beretta pistol had pointed towards him mistakenly, he would have been hit in the face. Those of us who have handled a similar weapon will know that this accident cannot be recreated by any means. A suicide means loss of pension and loss of respect. Navy will go to any length to protect its sailors. That is understandable. However the media does not have any such limitations. The truth must prevail howsoever painful it may be. Being a member of the armed forces I find it difficult to believe the Naval version of the story. What is the truth? No one will know. 2 weeks have passed but still no results of investigation. it would be reasonable frm the Navy side to end up with "accident" version to close up the issue, as silence is worse than lies in this case. Everyone who knew this powerful person would certainly agree to the fact that hardly anything happened in Jammy's life Without his concern. Therefore doesn't matter if it was an accident or suicide we Must respect his decision to let it happen in his life in the way it happened. everyone has his secrets and we must respect it as a right, not indulging in curiosity. Gone too early - that's true. answer for the questions "why" and "how" won't bring him back. I pray for his children and his father to be able to bear with this huge loss. Let your spirit flow free, you were a true Warrior, my friend, and will stay as such in a solar wind of universe that is your home now. My first meeting with Rear Admiral SS Jamwal - my first day at NDA Khadakwasla - I walk out of my cabin and look down at a towering, handsome and stern looking figure staring at me ...he was the SCC of E Sqn. Since that moment I have been in awe of this most wonderful person. I was shocked to see this news. Was trained by Jammy when he was a XO at NAVAC.